Nic Malan from ZA Tech Slack community talks about his bootstrapped project, Reflex Warmers. It’s a “real world” project and quite different from the other coding projects that he’s tackled before. Since April 2016, he’s spent about R30 000 of a total budget of R50 000. What is Reflex Warmers and how did you come up with the idea? 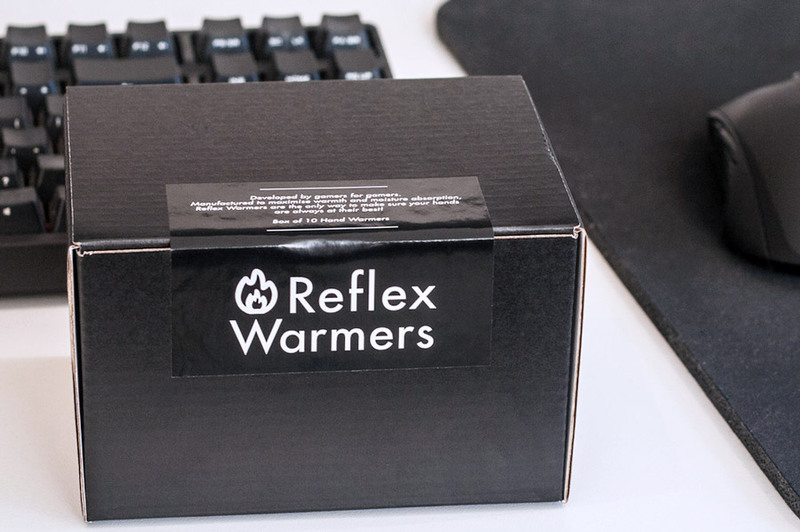 Reflex Warmers is a brand of absorbent, disposable hand warmers for gamers and eSports professionals. The idea came to me via the confluence of a few factors. Esports is currently going through a huge growth phase, I noticed a large number of pros using hand warmers during events and I personally suffer from very cold hands in winter thanks to Raynaud syndrome. While researching what products the pros were using, I realised they were using existing camping, fishing & skiing products. To me that felt like a place I could step in and produce something specifically and directly for gamers. What do you do when you’re not working on Reflex Warmers? What is your background? My day job is being a software dev, mostly doing Laravel contract work for some local internet properties like Superbalist and Bike Hub. What motivated you to start running Reflex Warmers as a project? I have a really strong drive to try and grow my personal earning potential in ways that scale better than selling my time. (Is that just a pretentious way of saying I’m entrepreneurial?) Combining that with a love of building stuff means I’m constantly tinkering and experimenting with ideas. In the past, that drive and tinkering has yielded a very long list of projects getting deadpooled. I’ve probably had 2 or 3 projects a year that make it past the idea stage and get in front of real customers. Reflex Warmers has gotten a bit further than that stage now and I have a good long-term feeling about it. Even if it’s been a bit hairy in the short-term. What went into getting the product ready for launch? This has been quite a journey compared to what I’m used to with all my other, more code focused, projects. With those the process is essentially to do a prototype to make sure the concept is possible and then start an indefinite feedback and iterate loop. April: After thinking about the idea a bit I decided to do some real research on Alibaba and similar platforms. This helped me figure out the unit economics and broad feasibility. I got samples from 12 different factories in China sent to me so I could physically test them out and find one that had the properties I wanted. July: While testing all the different samples and figuring out all the other moving pieces I used Squarespace to set up a simple “coming soon” page with a call to action to get notified when we’re available and did a small run of adverts. I wanted to do a litmus test to figure out if people were even vaguely interested in the product before having to lay out a bunch of money for stock. I also spent time experimenting and researching different packaging, branding and identity options. There was also a lot of legwork to be done trying to figure out what would be the best platform to use when selling. With a relatively cheap product like mine, all the costs such as couriering and packaging that go into the process hurt the bottom line. Then I had to decide which of the moving pieces I wanted to handle myself, from the website, payments, storage, couriering etc. I spent some time to understand all the pros, cons and costs involved. In the end my decision was to try do as few of those as possible in the beginning - sacrificing a lot of margin for speed and convenience. September: Going in I thought that all the samples would be exactly the same but in reality there was a ton of variance. After a bunch of testing I was left with 2 options, so I picked the one with the best communication and service. With these decisions made I took a deep breath and placed an order. October: Order arrived from China. November: First order fulfilled by Takealot. How does your business model work? What’s the story behind your revenue? In a sense the business model is very simple. I buy hand warmers wholesale, brand and package them then sell on Takealot. I don’t have much in the way of revenue to report while things are still early. While planning the project, I decided on a maximum budget of R50 000. I wanted to cap my investment to make sure I don’t over commit or get stuck in a sunk cost trap down the road. With all my previous projects the only real costs have been my time and a domain name so this journey has been quite a different situation with many real world expenses. To date I’ve sold 25 boxes on Takealot at R100 per box. Each order incurs a handling fee of R27.36 (R24 ex.vat) and success fee of R11.40 (10% of sale price ex.vat). You also pay R7.89 per-item per-month storage fees and R171 (R150 ex.vat) monthly subscription fees. All things accounted for, my Takealot account is R300 in the red. What are you doing to attract more customers and grow Reflex Warmers? I’ve run a few ads via Google, Reddit and Facebook but for now it feels more valuable to get my product into people’s hands, literally. I’m spending my marketing budget on sending samples to events, organisations, internet personalities near my niche and anyone who could spread awareness. If this sounds like you, get in touch! I’ve approached a few local gaming YouTubers such as Chani_ZA, FrankyB, RustyPieLover and Pixel Senpai who were amazing and made videos about the product. It’s a mutually beneficial process that allows them to create new content and get my product in front of their audiences. What are your goals for the future of Reflex Warmers, and how do you plan to accomplish them? My short-term goal is to be able to sell all the units from my initial order (9000 units) without having to “re-fund” the project. 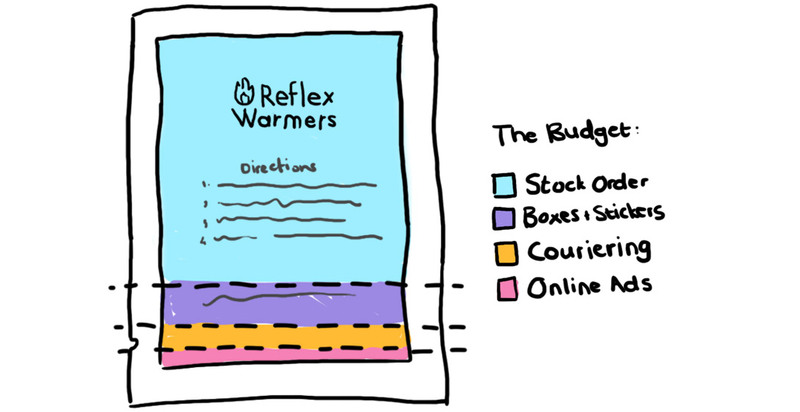 This might not sound very exciting but a business such as Reflex Warmers can only really become profitable at scale. Just getting some semblance of traction would be great. Originally I wanted to skip the South African market and go straight to Europe and America with Fulfillment by Amazon and that’s definitely still on the radar. The markets are just so much bigger over there and I can hopefully be more profitable. As well as the fact that having a presence in the northern hemisphere makes sure I can always be covering winter somewhere in the world. Locally, I’d like to either remove some of the costs per transaction, or experiment with an adjusted price point as the current unit economics aren’t very profitable with such small volumes. With the current situation, the cost price of a box is R45 and sells for R100 so giving R40 to Takealot really stings. But if I’m able to raise the sale price to R150 instead and have the same uptake it would shift things positively. Or alternatively, if I’m able to manage the process myself with no handling fees and storage fees it’s possible the R100 price point could work. I’m also following a few leads to have a retail presence, being able to sell individual warmers at BT Games or Computer Mania till points would be great and another nice way to get exposure. The long term goal would be to turn Reflex Warmers into a global, recognisable brand and own the esports hand warmer niche. How do you manage your time between your fulltime job and Reflex Warmers? The last few years I’ve been working as a contractor and that’s allowed me to allocate 20% time (every Wednesday) to my own projects and hairbrained ideas. It’s a bit of a long-term hedge that giving up earning potential now will allow me to explore and build things that will become profitable in the future. It also takes the occasional evening and weekend of effort but it’s essentially my hobby as well as second job so I enjoy it. What’s your advice for other people who are serious about their bootstrapped side projects? For me, the most important pieces have been setting the initial budget and getting a solid handle on your unit economics. I didn’t really get the latter right and it’s hurting. You also have to be ready to fill a ton of different roles. I’ve had to do product design, social media, video editing, create a website, handle procurement, etc. When not doing these things generally means you have to pay for them, it helps the budget to just fake it until you make it! What are the biggest challenges you’ve faced thus far? I haven’t found a (cheap) way of setting up a EU or US business. Stripe Atlas is an amazing service but their price point is a little steep for my tight budget. The strangest one has been that people who don’t already know about the product think that it’s some type of glove. I didn’t see that coming so it caught me by surprise. It’s made me lean harder towards getting sample products to people to try out, rather than trying to get customers with text ads. It’s also motivated me to have more video content available so it’s easy to see exactly what the warmers are, and how they’re used. There’s a balance between analysis paralysis and being bullish. I’ve mostly opted to move fast instead of doing all the research possible. Something that bit me with this approach is all the smaller costs I either wasn’t aware of or didn’t take seriously enough when doing “back of the envelope” calculations. 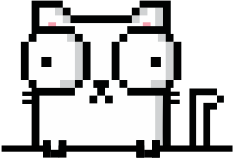 At least going forward that’s something I can experiment and iterate on. It also might have been better to hold out on a solution for going straight to EU or US, though having the product here and being physically connected to the process has been extremely valuable. There are also a few small things that I could have done to be more cautious, such as sending fewer units to the Takealot warehouse thereby saving myself high storage fees. What things have helped and inspired you? Has anything been particularly helpful to you so far? Luckily I think I was just born with the entrepreneurial bug in me, from everyone’s favourite of trying to sell shirts in high school, to now doing things like Reflex Warmers and founding the ZA Tech Slack community (catch me there as @n1c). I love getting my hands dirty, being involved and trying to make things happen. I keep in touch with a few acquaintances that are or have been entrepreneurs but I haven’t had any particular mentors. If you’re keen on funding my hairbrained ideas or pushing me in the right direction, give me a shout! Mindset: The New Psychology of Success by Carol S. Dweck. Drive: The Surprising Truth About What Motivates Us by Daniel H. Pink . Zero to One: Notes on Startups, or How to Build the Future by Peter Thiel . The 4-Hour Workweek by Timothy Ferriss . The Everything Store: Jeff Bezos and the Age of Amazon by Brad Stone. Visit http://reflexwarmers.com to see some detail about Reflex Warmers.